Kerala Priest Tom Uzhunnalil was abducted by ISIS in March 2016. Father Tom Uzhunnalil, Indian priest kidnapped in yemen last year, has been rescued. 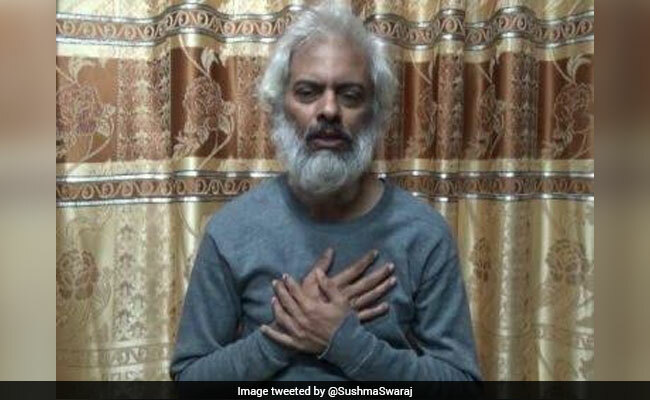 A priest from Kerala who was kidnapped in Yemen last year has been rescued, Foreign Minister Sushma Swaraj tweeted this afternoon. Father Tom Uzhunnalil was abducted by ISIS in March 2016 after an attack on an old people's home run by missionaries in the southern port city of Aden. Gunmen posing as relatives of one of the residents at the home burst inside, killing 16 including four Indian nuns. Muscat said it had secured his release. In a video released in May on a local news website, Father Tom pleaded for help. "They are treating me well to the extent they are able," he said, speaking slowly in English. "My health condition is deteriorating quickly and I require hospitalization as early as possible," he added in the recording. The date April 15, 2017 was written on a cardboard pasted on his body. The Kerala priest said his kidnappers had contacted the Indian government and the Catholic bishop in Abu Dhabi in the United Arab Emirates with their demands. "My dear family people, do what you can to help me be released. Please, please do what you can to help to get me released. May God bless you for that," he pleaded.